Posey is one of the oldest manufacturers of medical restraints. 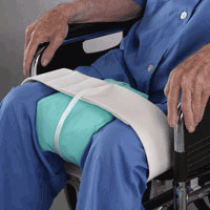 Posey has a strong reputation for the Posey Restraint Systems, the Posey Bed Safety Rail, the Posey Bed Side Rail Protector, the Posey Medical Alarm, the Posey Gait Transfer Belt, the Posey Tracheostomy Care Products, the Posey Medical Cushion, the Posey Fall Protection products, and the Posey Urine Leg Bag. Posey Products date back to 1937. 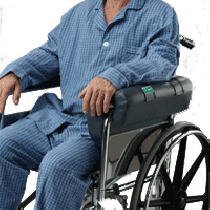 Posey has a large assortment of Medical Alarms, including Posey Personal Medical Alarms, Posey Room Alarm Systems, Posey Bed Alarms & Bedside Alarms, Posey Wheelchair Alarms, Posey Bathroom Alarms, and Posey Wander Alarm. Posey manufactures an assortment of Medical Alarm Sensors and other Medical Alarm Accessories for their Medical Alarms. Posey also has a large assortment of Restraints, including Posey Institutional Restraints, Posey Seating Restraints, Posey Wrist - Ankle & Hand Restraints, Posey Vest Restraints and other Fall Protection medical supplies. Posey also manufactures Restraint Alternatives for special restraint requirements. 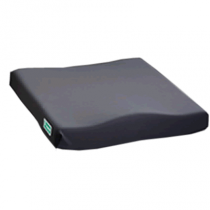 With medical restraints it's important to know that the patient will be safe and comfortable. 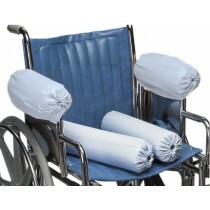 Posey manufactures humane restraints used to protect patients from injuries. There are several types of Posey Restraints including Soft Belts, Limb Holders and Leather Cuffs. 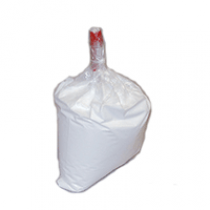 Vitality Medical is proud to sell Posey Company Products on our web site. Posey founded the J.T. Posey Company in 1937, when he built a foot cradle for a hospitalized friend who complained about the weight of the bedcovers on his bare feet. The hospital liked the idea, and asked for a price for 12 foot cradles. The Posey Company landed its first order, and made a profit of $12. 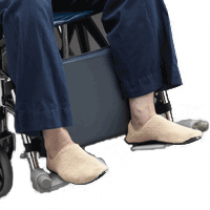 As John Posey showed the foot cradles to other hospitals in the San Francisco area, he was asked to develop other Posey company products to assist in patient care. Soon, he expanded his travels beyond San Francisco, and after many years John built the Posey Company which soon gained a worldwide reputation for innovative and practical healthcare products. In 1991, John Posey handed the president's gavel to his third son, Ernie, while maintaining a leadership role as Chairman of the Board. Today, the J.T. 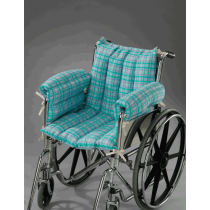 Posey Company manufactures over 600 healthcare/safety products with every Posey product bearing the Posey name and made to the same exacting standards established by John Posey over 60 years ago. The quality of Posey Company Products is the result of the dedication of over 300 craftsmen with an average tenure of 12 years service. Since introducing its first Posey Alarm in 1992, the Posey Company has become the leading provider of innovative, restraint-free, fall management products. 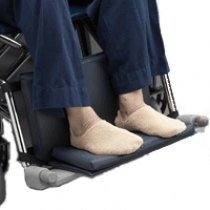 Posey fall management products quickly earned the confidence of health care providers, and in a recent survey published by Nursing Homes Magazine, caregivers ranked the Posey Company #1 in fall prevention. 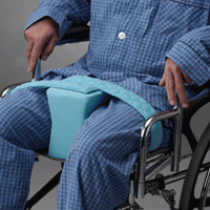 Recent Posey product releases include the Posey Sitter II® Fall Prevention Monitor, Posey KeepSafe Deluxe Alarm System, Hipsters® Padded Briefs, Posey Floor Cushions, Posey Fall Management Blankets and the Floor Cushion Fall Mat. Popular Posey Company products include the Posey Gait Belt assortment, a selection of Posey Trach Ties, Posey Restraints, and Posey Bed Rails and other Bed Safety Protectors and accessories.